In the cyclic model, our three-dimensional universe is one of two surfaces, or "branes," separated by an extra dimension. The two branes bounce off each other to give rise to matter and radiation, and then expand and dissipate due to dark energy. 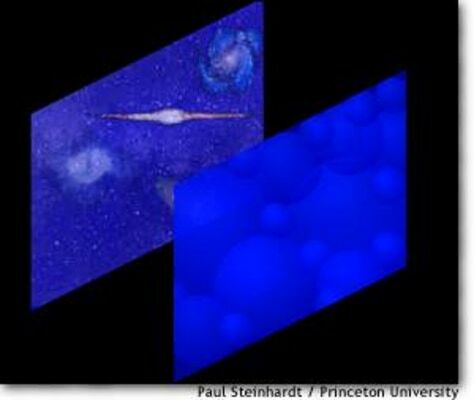 Click for more information from Princeton cosmologist Paul Steinhardt, including a Flash animation.